In March, the Illinois Green Alliance announced Monroe Elementary School in Hinsdale as one of only four schools in Illinois to be nominated for the U.S. Department of Education Green Ribbon Award. The award seeks to recognize schools, districts, and higher education institutions that are leaders in sustainability based on three key areas: environmental impact, health and wellness, and environmental education. SCARCE is proud of the on-going efforts by Monroe teachers, staff, and students to create a school environment that fosters care for people and the planet we all share. 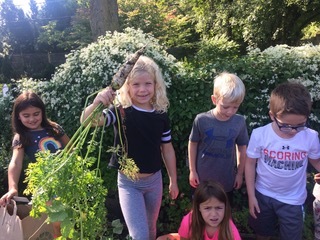 SCARCE has worked with Monroe School to earn an Earth Flag, a water quality flag, and compost food scraps in the cafeteria. The 2018 Green Ribbon award recipients are expected to be announced by the U.S. Department of Education later this spring. Wonderful work and best of luck! 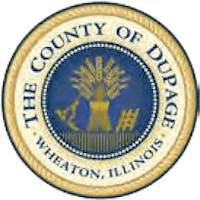 Bensenville is the newest town to join the eight locations in DuPage County that offer cooking oil recycling for residents. As with the others, the location will accept liquid, vegetable-based cooking oil (no animal fats or solids) in containers at the Bensenville Public Works, 717 East Jefferson, Monday-Friday 7:30am-3pm. Recycling cooking oil keeps our pipes and sewers clear of costly clogs, prevents water pollution, and utilizes what is otherwise kitchen waste to create cleaner-burning biodiesel fuel. 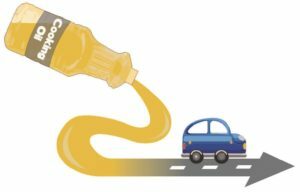 Learn more about the benefits of cooking oil recycling here.